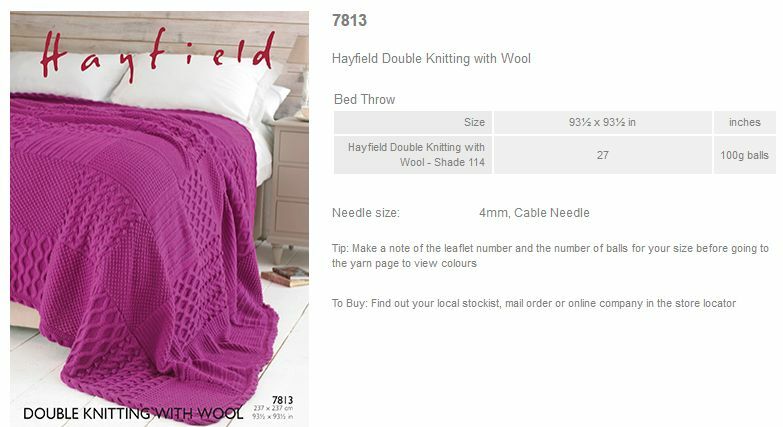 7813 - Bed Throw using Hayfield DK With Wool Leaflet with a design for a Bed Throw using Sirdar Hayfield DK with Wool. 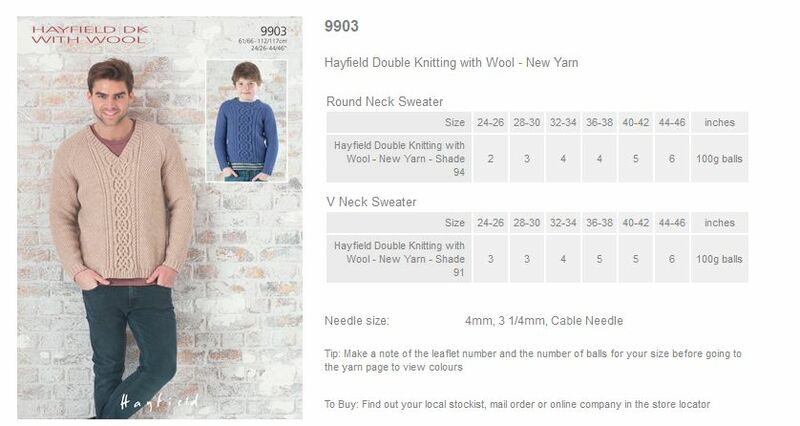 9903 - Round Neck Sweater and V Neck Sweater using Hayfield DK With Wool Leaflet with designs for a Round Neck Sweater and a V Neck Sweater using Sirdar Hayfield DK with Wool. 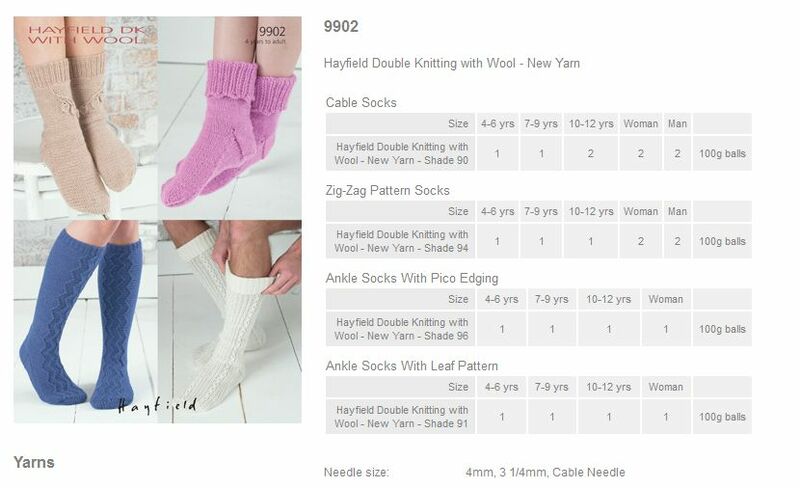 9902 - Socks using Hayfield DK With Wool Leaflet with designs for 4 socks using Sirdar Hayfield DK with Wool. 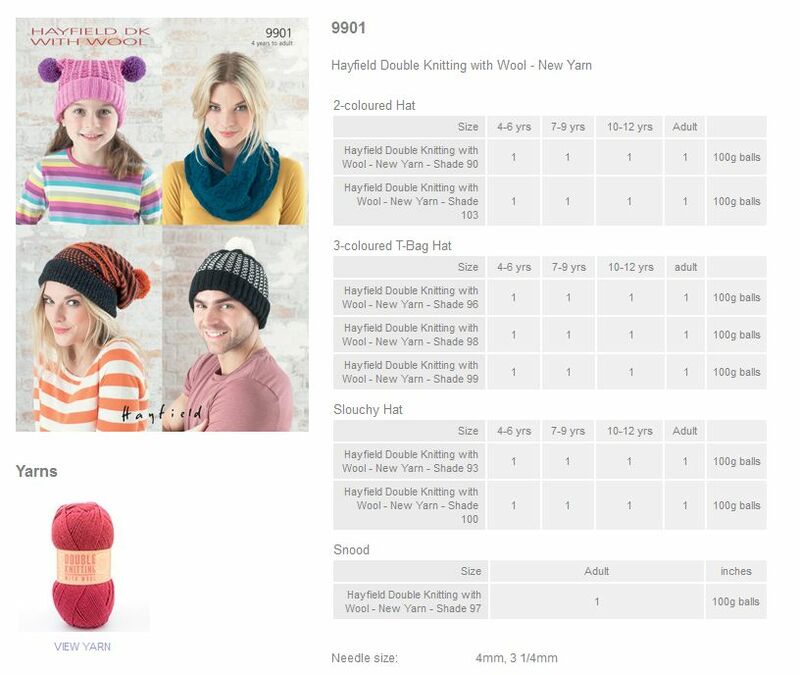 9901 - 2-coloured Hat, 3-coloured T-Bag Hat, Slouchy Hat, and Snood using Hayfield DK With Wool Leaflet with designs for 2-coloured Hat, 3-coloured T-Bag Hat, Slouchy Hat, and Snood using Sirdar Hayfield DK with Wool.